AS A TEXAS RESIDENT from San Francisco by way of Sydney, Australia, I’ve seen my fair share of trails, both official and off-road. But none blend the visual splendor and the history you’ll see while traveling the tracks that cut across the American South. Evergreen oaks and flowering magnolias set the scene for cultural landmarks that dot the region like wildflowers. An ideal base camp for a trip through the best of the region is the city of Tupelo, Mississippi — the birthplace of the King of Rock ‘n’ Roll. Follow this 12-stop route and you’ll come away with a whole new appreciation for the country. You’ll see a lot of awesome cars on the road, but you probably won’t see anything that tops Elvis Presley’s 1976 Lincoln. Find it at the Tupelo Automobile Museum. 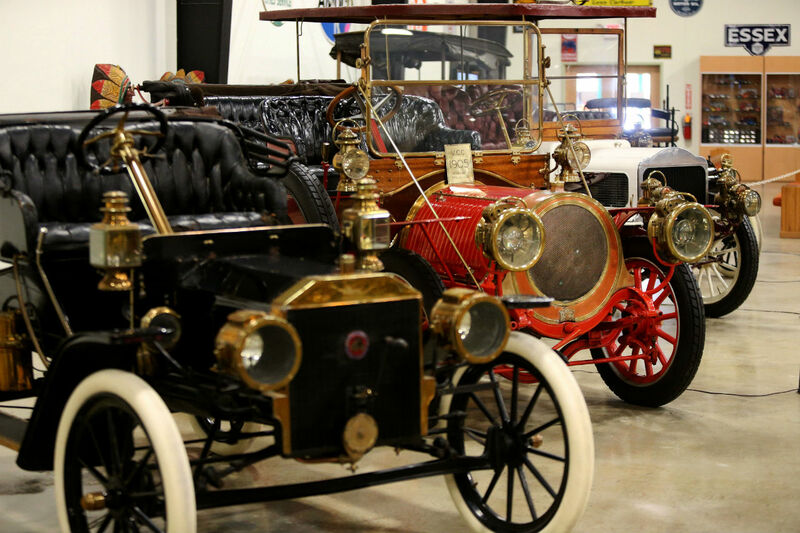 Home to $6 million worth of classic and collectible cars, this is a huge, 120,000-square-foot institution where the self-guided tour takes you from a 1886 Benz — the world’s first automobile, a three-wheeler that topped out at 10mph on its first test drive — to a super slick, never-driven 1994 Dodge Viper that can apparently cruise at 188mph (maybe don’t try to find out if your own ride can hit these speeds). On a visit, you’ll be able to peek into the restoration area to see how things are going on the museum’s latest acquisitions. In the digital age, it often seems like every preserve and park in the country has been discovered — and Instagrammed — but they don’t all feel that way. Tombigbee State Park, just east of Tupelo, still has Walden Pond-like serenity, and it’s the perfect place to spend your first night on the road, with ferns and gum trees for company. When you’re ready to hit the road, you’re in for a treat. The Natchez Trace Parkway, headquartered in Tupelo, makes for one of the best drives in the country. And it’s a road that isn’t meant to be hurried — take the time to stop and explore the signed pull-offs and historical markers en route to your next destination. You’ll reach Jackson after 175 miles southwest along the Natchez Trace Parkway, with plenty of time for landmark hopping. Right downtown, the Mississippi Museum of Art holds the state’s most impressive collection of local and international artists, like Georgia O’Keefe and Andy Warhol, and a large Mississippi-focused collection including original photographs by legendary Southerner Eudora Welty. From there, lunch at the Parlor Market puts you a stone’s throw from Tougaloo, one of the best-preserved historically black colleges, first established back in 1869. 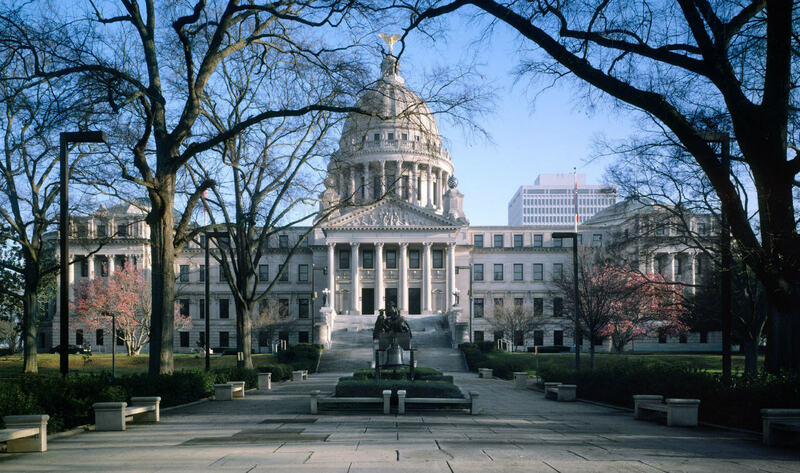 Stay a night in Jackson after experiencing the City of Soul at music venues like F. Jones Corner. There’s more great music to come — you’re currently driving the “CRADLE of the Kings” section of the Americana Music Triangle, from Tupelo to New Orleans. From Jackson, it’s a straight shot south on I-55 to NOLA. You probably don’t need my help finding something to do here, whether your interests are artistic, culinary, or outdoorsy. But you can’t go wrong with a fancy meal of turtle soup and crawfish étoufée at Amy Schumer’s favorite restaurant, Pascal’s Manale. Also in New Orleans, the Preservation Hall Jazz Band is on hand nearly every night if you’re willing to wait in line a bit. It’s worth it, even if you’re just in town for a day. From NOLA, point your car northward again and follow signs for US-61, otherwise known as the Blues Highway. The origin of the name will become obvious shortly, as you travel back into Mississippi, and on up towards the Delta. From The Big Easy to The Little Easy — Natchez is another major music hub. Mick Jagger filmed much of his 2014 biopic Get on up here, chronicling the life of the “Godfather of Soul,” James Brown; Johnny Depp and Paul McCartney filmed the “Early Days” video here that same year. Established in 1988, Natchez’s National Historical Park is set around a series of Victorian homes just outside the city’s center. Covering 110 acres, it’s doable in a day. Stroll at your leisure, but try not to get too far from the Mississippi River and Natchez Bridge, because that’s where you’ll find the best local restaurants, like Carriage House. During the Civil War, General Ulysses S. Grant and the Union Army bombarded the city for 47 grueling days. Civilians sheltered in caves dug into the hillsides until the city’s surrender on July 4, 1863. The Mississippi, America’s great river, was now in the hands of the North. 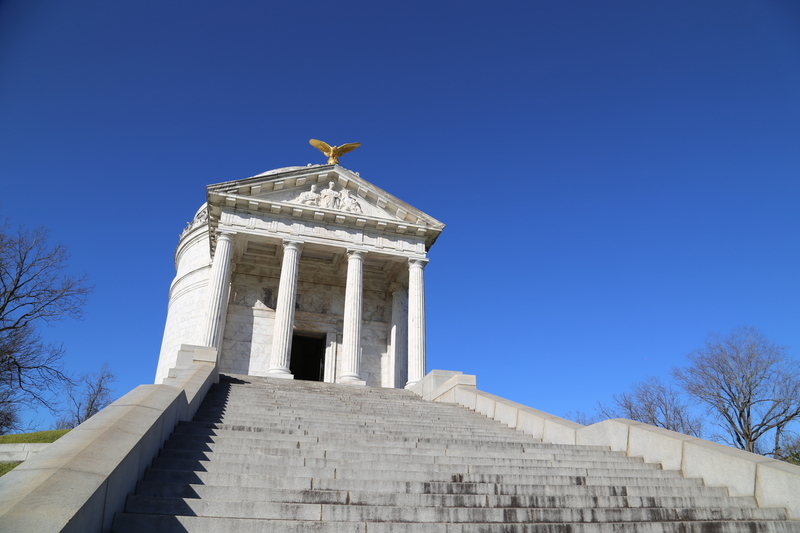 This was a vital turning point in the Civil War, and it’s well worth visiting Vicksburg National Military Park to learn about the siege through the monuments, interpretive sites, and museums that are part of a 16-mile self-driving tour. The Mississippi Delta — “the most Southern place on Earth,” not to mention one of the Blues-iest. Clarksdale, the ideal base for exploring the region, is where the Blues began. Legend has it that this is where Robert Johnson sold his soul in exchange for his supernatural musical talent. It’s where Muddy Waters and Son House were born and raised. And these days, it’s where the Historic Blues District, also known as Blues Alley, is located. Here you’ll find the Delta Blues Museum and Morgan Freeman’s Ground Zero Blues Club — probably the #1 stop on this entire itinerary for live music. Don’t miss it. Drive east from Clarksdale and you’ll hit the ultimate college town: historic Oxford. Bookstores around the country are dying out, so we’re lucky to have Square Books still going strong in the city’s famous square. A walk-around is quick, and there’s an amazing ice cream parlor. But you can’t make a trip to Oxford without touring the birthplace of modern Southern literature. William Faulkner’s home, Rowan Oak, is open for tours. Seventy-five miles from Oxford is Graceland, which is aptly located on Elvis Presley Boulevard. You can drive from Graceland up US-240 to Sun Studio, where Elvis got his start, then walk to the National Civil Rights Museum — a shocking transition, sure, but you get the full, complicated range of Southern life in one trip. But the real trick to fully experiencing Memphis these days isn’t found on Beale Street or downtown, it’s southeast in the Cooper-Young neighborhood, a blossoming community in the vein of Williamsburg. The neighborhood has its own newspaper, The Lamplighter, and keeps a calendar of the local goings-on. Take your pick from its range of restaurant choices — locally sourced fried green tomato sandwiches or shrimp and grits at Sweet Grass, for example — or scout out the craft beer selection; this is the home of the annual Cooper-Young Beerfest. If Memphis doesn’t wipe you out, the longest wall-to-wall drive on the itinerary is NE on I-40 for about three hours to Nashville. My travel mates last year introduced me to the beautiful Cheekwood Art & Gardens, a highly recommended walk-through on Forrest Park Drive. We also tucked into a local “must,” Hattie B’s Hot Chicken. Close the night out at Bourbon Street Blues & Boogie, where you’ll find live music any day of the week. In Nashville, you’ve reached the northernmost stop on this tour. Now it’s time to hop back on that mellow, scenic road — the Natchez Trace Parkway — and head on down to Tupelo for some end-of-trip sightseeing. It’ll be all the more worthwhile, given the new perspective you’ve gained on this special part of the country. Back in Tupelo, there are a dozen significant sites that relate to Elvis’ younger years. They’re marked with interpretive bronze plaques as part of the Elvis Presley Driving Trail. Visit Tupelo Hardware Company, where Gladys Presley bought her son his first guitar. Consider doing as Aerosmith’s Joe Perry did and buy one for yourself. Next, head to the Elvis Presley Homecoming Statue to snap an Insta with the King at the very spot where his historic homecoming concert took place in 1956. Also on the trail: Elvis’ first school; the Lee County Courthouse, where he performed for his first live radio show; and the old-timey Johnnie’s Drive-In on Main, where a young Elvis used to eat with his friends. The food’s exactly what you want from an all-American diner, and you can eat at the same booth Elvis sat in back in his day (with photo evidence to prove it). 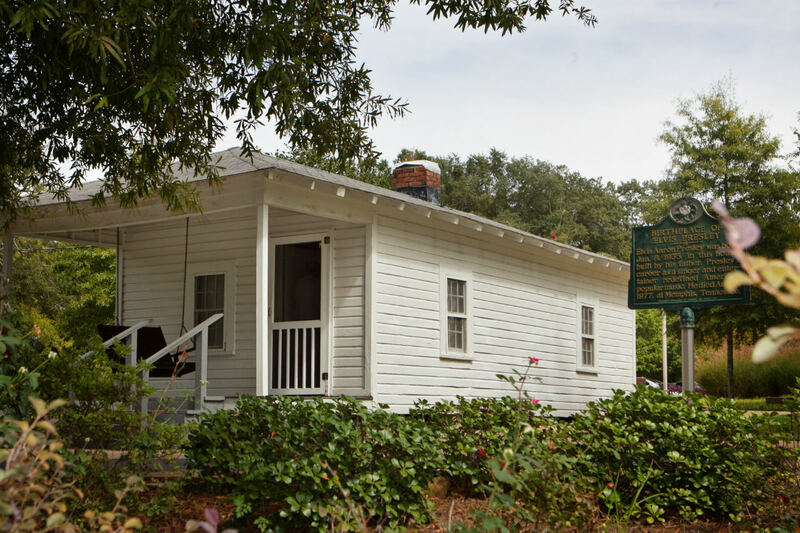 The Elvis Birthplace & Museum is the final landmark for anyone on a trip in the region. No location on this list blends our national history and arts so fully as the birthplace of the King himself. Tupelo rightfully treats Presley’s childhood home with the utmost respect, maintaining its structural health for half a century and helping host performances and festivals (including the Tupelo Elvis Festival) in the city every year. If you like Tupelo as much as I do, you’ll probably end up staying a while.